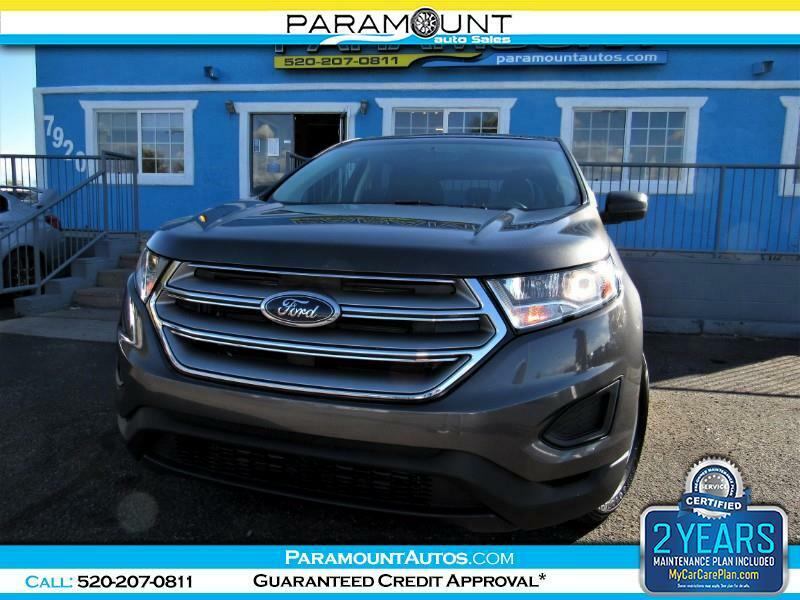 2016 FORD EDGE SE WITH THE LOVELY SUPER EFFICIENT ECOBOOSTTURBOCHARGEDD ENGINE! 1-OWNER CARFAX CERTIFIED CAR AND IT IS IN LIKE NEW CONDITION! COMES WITH MANY GOODIES INCLUDING SYNC INFOTAINMENT SYSTEM, BLUETOOTH AUDIO AND PHONE, BACK UP CAMERA AND MUCH MORE!! EASILY ACHIEVE UP TO 30MPG IN THIS SUV, WHICH IS AMAZING FOR A VEHICLE THIS SIZE! COMES WITH A WARRANTY AND 2 YEARS OF MAINTENANCE! EASY FINANCING AVAILABLE.. PRICED TO SELL FAST SO DON'T WAIT TILL ITS GONE!